This pickup is based on mid -60's Gibson Thunderbird bass pickup. Custom size Alnico5 bar magnets, original size custom made bobbins. 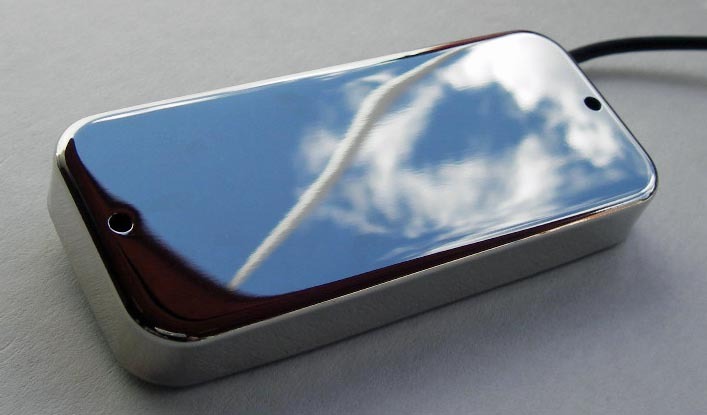 Polynylon magnet wire and nickel plated nickel-silver cover. The sound is strong and has nice midrange punch, perfect for rock and blues.